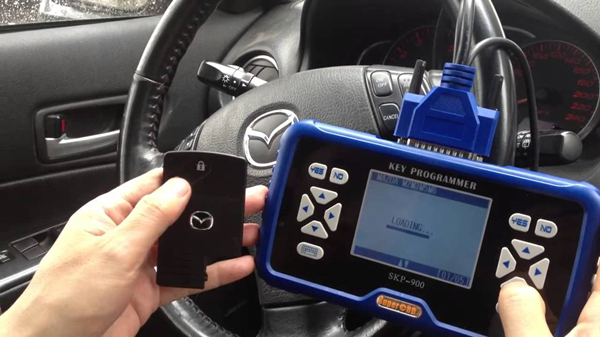 Step 1 Connect SKP900 Key Programmer to a Nissan OBD?connector via Main Cable, start the car with a remote and wait a few seconds for SKP900 to start. Step 2 Select Nissan, New Structure and choose Yes to continue. Step 4 Select Immobilizer System according to the cars Immo and choose Yes. Step 5 Wait for a few minutes until SKP900 communicates with the car. Step 6 Select Function, System Selection then Key Adapt and choose Yes. Step 8 According to the instruction on screen, you should insert a new key and turn IGN on. You may see the IMMO indicator light will flash when inserting a key which cannot start engine. Select Yes. Step 9 Close IGN switch and select Yes. Step 10 Wait for system adapting and then open IGN switch and select Yes. After the new Auto Scanner Tools MB SD Connect C5 clone released on Carsets.co.uk in Jul, 2016, recently most users reviews on this Benz SD C5 Mercedes diagnostic tool turns out to work better and even greater than before. So What can it do with this MB SD Connect C5 in the clients opinions ? 3. SD Connect C5 this one customer has test, works good, in function it no difference with SD C4, but performance it is better. So you can buy Mercedes BENZ C5 if you want buy new MUX. SD C5 use the same software as MB SD Connect C4. SuperOBD SKP900 key programmer better than handy baby car key copy to program Toyota G chip? Definitely YES! It’s verified that Auto key programmer SKP-900 can program new keys and perform key matching together, while JMD handy baby only supports G chip copy. Here is about how to program Toyota G chip using SKP900 auto key programmer. It is that your tokens not used up,no need to add tokens,then it shows this error.Please add tokens when use up. If the device get the error: “CAN Be Used 0 Times Add It In Main Menu,Add Times Function” it is indicate you that the tokens have been used up, you just need to add new tokens and problem will be solved. Why to buy Xentry SD C5 kit (C5+Panasonic laptop CF30) is better?
? Realizes all the function of official factory BENZ compact 3.
? C3 Multiplexer can connect to factory computer and IBM laptop.
? Complete maintenance data. It could offer full disassembly and assembly circuit diagram, working principle and element place anytime needed. It is the best assistant for maintenance man. 3.1989~up to now Car, Bus, Truck, Sprint, Smart . MB Star C5 work with W204, W207, W212, 405, 451, 452 and 454.